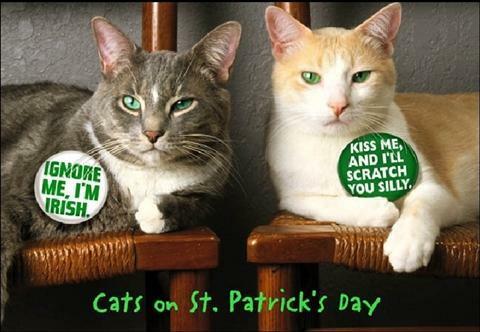 As loyal readers of this lofty blog no doubt recall, not only is today St. Paddy’s Day, it’s also the birthday of all 8 of the feral cats who allow me to live with them. The “kittens” are 4 today, and the 3 parents are 5. This morning they all got toys and a special breakfast. 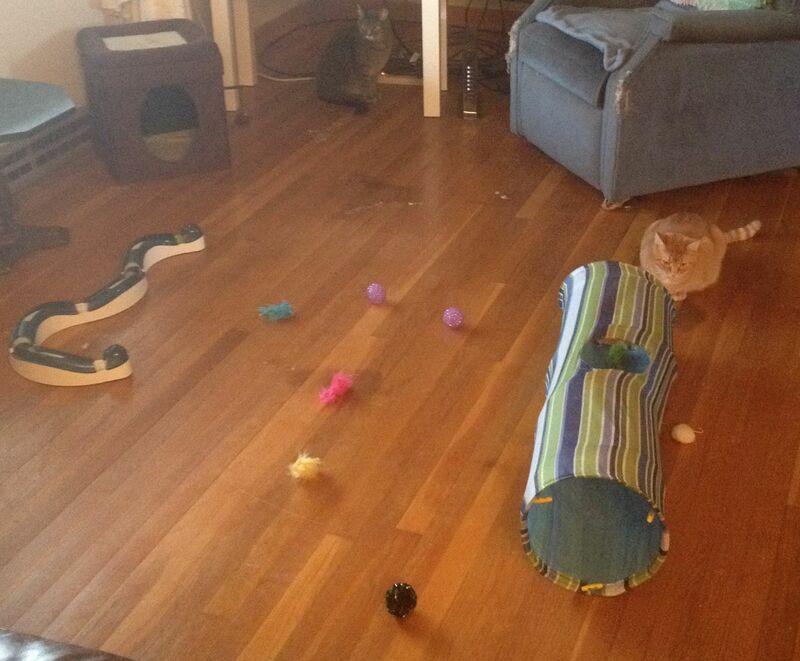 The toys were a huge hit and — judging by the 8 little faces buried in their food bowls until the bowls were empty — so was the breakfast! Daddycakes and Huckleberry after the birthday madness had subsided. Okay. Cannot tarry here today. The re-writes on the Cleveland’s Burning script are complete, however, the show bible is requiring a lot more revisions than I had anticipated, so I gotta scoot. Oh, and I’m not sure if this is an official announcement yet or not, but SomethingDark, out of Bristol, England, will be publishing my memoirs. We are getting closer and closer to finalizing that, so that is inching ever upward onto my plate. It’s exciting. I’ll keep you posted. All righty, gang. Have a great St. Patrick’s Day, everyone! Thanks for visiting. See ya.